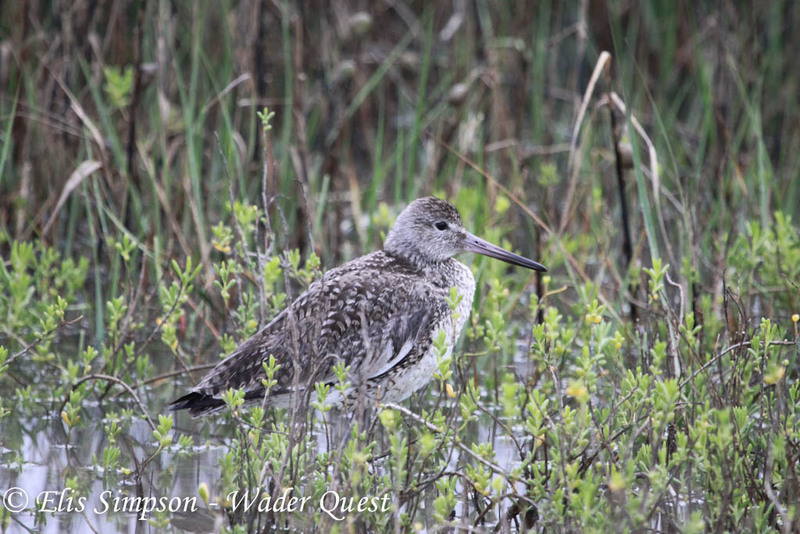 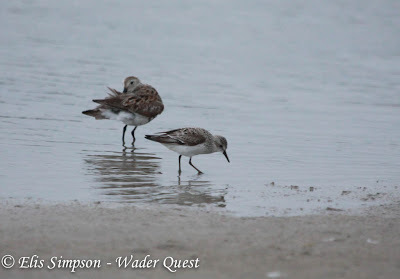 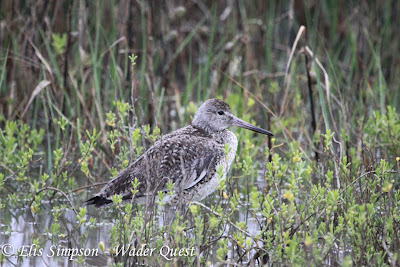 Early morning birding on Galveston Island in Texas added two new species to the Wader Quest tally; Eastern Willet and Semipalmated Sandpiper. 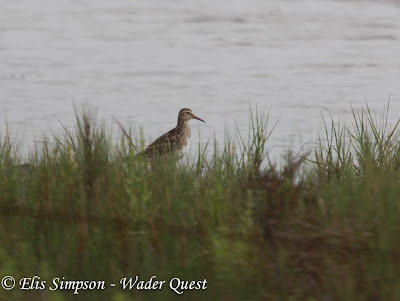 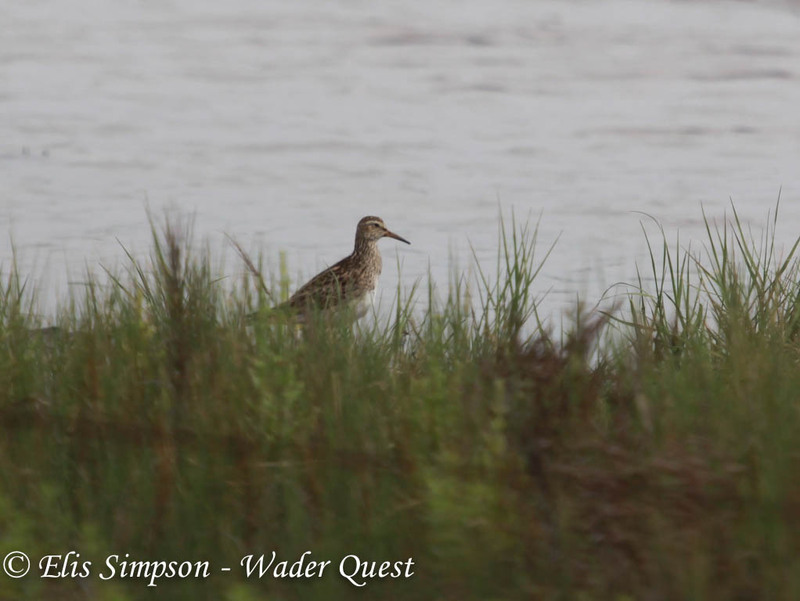 The drive along the coast to Cameron added a couple of new species too, Solitary Sandpiper and Pectoral Sandpiper. 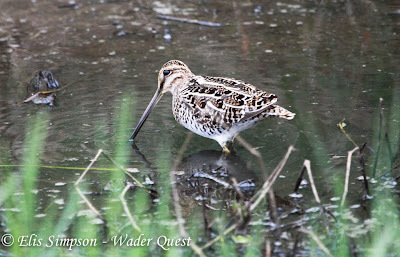 In addition we came cross this Wilson's Snipe in a ditch beside the road. This evening we attended a meeting of the Louisiana Ornithological Society where we heard a great talk by Jared Wolfe about banding in Louisiana and beyond. Tomorrow we are due to give a talk about Wader Quest and WWT Spoon-billed Sandpiper Captive Breeding Programme.